Your Oakville sump pump is a crucial device in need of ongoing maintenance. All mechanical devices need to be serviced and kept in as good a condition as possible to get the longest life from it because it will break down much faster without it. It may be easy to take your sump pump for granted too because it is typically kept hidden in a pit dug in your basement. Yet, this machine works 24 hours a day on your behalf to remove water that would otherwise threaten your home from destructive flooding and water damage. They need no supervision when they are functioning optimally. Make sure it works when you need it. You can call our local plumber for a rapid response to your Oakville sump pump issues. We can maintain, repair, or install any type of sump pump with professional workmanship and a solution you will be pleased with knowing your home is safe and dry. Don't risk a flood the damage is too costly both financially and emotionally. 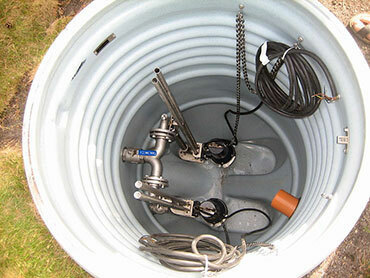 Have your sump pump Oakville maintained by our professional plumber. You will have it last you longer and function correctly when you need it to most. Our prices are fair and flat-rate. Our service is friendly and our work is world-class. And we can arrive quickly because we are local to the city. Any Oakville sump pump works when all of its parts are working optimally. The major parts include the pump itself, a basin which collects the extra water, the impeller which increases the flow and pressure of the water, the check valve which prevents water from reentering your home, the float arm which rises with the water similar to how a toilet works, the float switch which turns on the pump when the water reaches a certain level, the pump which pushes the water into the discharge pipe, while the discharge pipe is connected to the sewer line or dry well. Call us 24/7 for expert service you can rely on. Our local plumbing expert will arrive at your home or business with a fully equipped company vehicle prepared to take care of any plumbing emergency while we are there including your Oakville sump pump. We will ensure that all of your sump pump parts are in good shape and clean of debris such as gravel, dirt, or sand. Debris such as this blocking the check valve or discharge pipe may cause your device to drain slowly or overflow. Any sort of debris blocking the pump may cause it to overheat and certainly damage faster. You can be confident that your home will be protected. You may require a new Oakville sump pump to be installed and this is no problem either. We will take the time to make certain your pump is not in any way defective and is the optimal size. We will ensure that your sump pump is not placed in dirt or gravel and that the pit holds it steady. We will make sure there are no float arm or float switch issues. And that the discharge pipe is the right size and whether you need a grated discharge line. 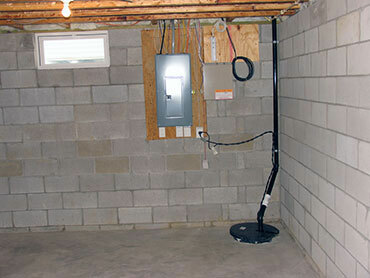 Of course, we will also make sure that your sump pump is safe from electrical power outages and power surges. Give us a call 24 hours a day all year long for prompt, friendly, affordable service.